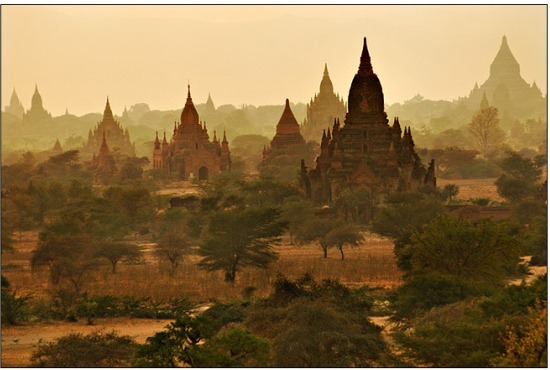 Ever since seeing the picture above (or one very much like it) I have dreamt about visiting the temples of Bagan, where over 2,000 religious structures flank the Irrawaddy River in the north west of Burma. I’m not sure what it is that’s drawn me to them? Maybe it’s the sheer scale of the temples, covering over 40 square kilometers. Or the fact that they reflect a time gone by; a remarkable footprint of a glorious period in Burma’s history. Or that they sit in a country which really hasn’t yet opened up to tourism and in itself has an air of mystery to it? Whatever it is, Burma (now known as Myanmar) has been on my list of places to visit for such a long time but, politics and international diplomacy have meant that I have never visited (never quite got my head round visiting the country).